Week 1 wasn't kind to to many fantasy squads. The football gods struck down dozens of key players with various injuries. It was, to put it bluntly, a bloodbath. It was like a sportier crossover episode between Game of Thrones and The Walking Dead. 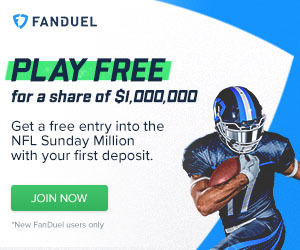 Which means a lot of you will have to seriously restructure your lineups this week. Well, you're in luck! If you followed my sleepers suggestions last week and started someone like Sam Bradford, you likely began the season with a nice W. So heed my advice, readers. HEED IT! Methodical. That's not a word that excites many fantasy owners, but before you shrug off this supposed "game manager," I ask you to recall that 2 of the Top 3 quarterbacks last week were Alex Smith and Sam Bradford. Right behind them was in the stat sheets was Trevor Siemian as he proved he belongs in Denver's driver's seat with an efficient 3-touchdown performance. Siemian may not be a gunslinger, but the artillery he has around him ensures a safe floor given the right matchup. Which brings us this week's game against Dallas. The Cowboys' defense couldn't get to the quarterback if the opposing team's O-line was made of wheat. The Broncos' young QB is in a great position to thrive on Sunday. 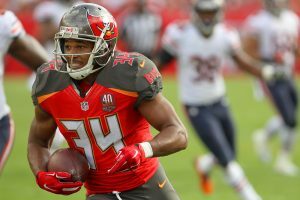 With Doug Martin absorbing the first week of his suspension, Charles Sims should be on your radar. The time to utilize Sims' pass-catching abilities to the fullest is now. Doug Martin is set to begin his 3-game suspension this week. Sims will enjoy plenty of action as the Bucs third-down and receiving specialist in a suddenly sparse backfield.The one-two punch of Devonta Freeman and Tevin Coleman didn't exactly thrill against the Bears mediocre defense. There could be a path for the Bucs offensive coordinator to follow in Coleman's stat line (which included 4 receptions for 42 yards). Oh, and for all of you out there wondering aloud why Sim's teammate Jacquizz Rodgers isn't in this slot, two things: 1) Stop talking to your laptop or mobile device, you look like an insane person, and 2) You need to seriously reevaluate your definition of "sleeper." The Packers defense looked a lot better in Week 1 than many expected. Before you start hoisting this defensive unit up as fantasy game-wreckers, let's see how they perform outside the confines of Lambeau against a respectable offensive line. All eyes will be on Julio Jones and whether or not he can ball out once again against Green Bay (he racked up 180 yards and 2 TDs). Meanwhile, Taylor Gabriel might quietly own the field on Sunday. Gabriel was the most efficient receiver in the league last year based on DVOA metrics. Two of his best outputs came against Green Bay. And let's not forget the Packers were the victims of multiple breakout performances a season ago. Those games were followed by many fans googling "Who the hell is Adam Thielen/Marvin Jones/[insert random receiver here]??" They look better this year, but all it takes is one missed tackle for Gabriel to turn a 5-yard catch into a touchdown. Green Bay's front seven may not get after Matt Ryan like they did Russell Wilson. This will force Dom Capers to double-up on Jones most of the night, putting Gabriel in a deadly spot. It might be a tad cliche to just list whichever player is going up agains the Jets on a given week. Then, if it ain't broke...it's probably not a part of the Jets' defensive unit. Even against Buffalo's emaciated offense, they were bullied around for the game's duration. Most importantly, they allowed Charles Clay -- Charles freaking Clay, you guys -- to walk off the field with 53 yards and a TD under his belt. If Charles Clay can attain fantasy relevance playing against the Jets, imagine what a more potent offense can do. Jared Cook probably doesn't inspire much hope for those who've looked over his yearly stat totals. When the guy's been healthy and had a solid arm tossing him the ball, he's put up some nice numbers though. He and Derek Carr have formed a connection early. Cook ripped off a 22-yard gain in his first regular season reception as a Raider and that rapport should pay dividends once again this week. Fantasy football provocateur who constantly misuses words like "provocateur." Third sexiest writer for Fantasy Knuckleheads. Follow him on Twitter. Schedule a 1-on-1 fantasy consultation. Do good things.